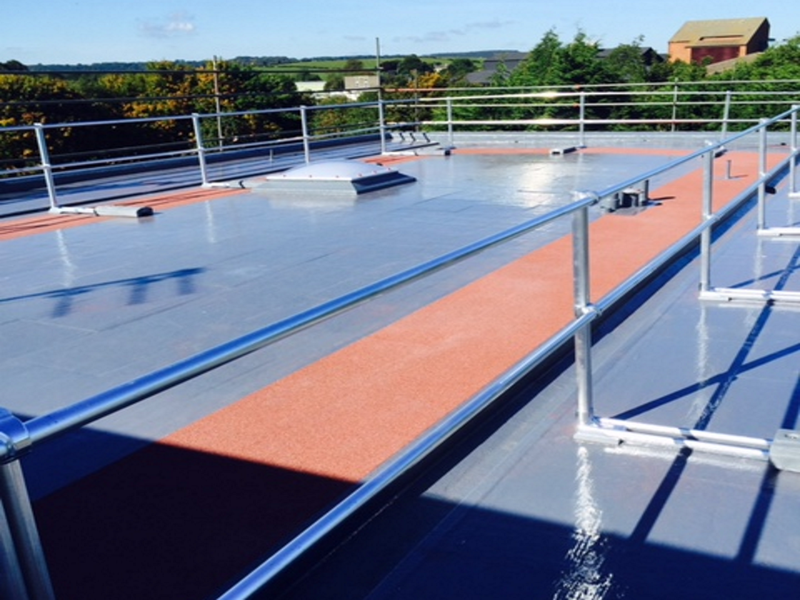 This project for an Academy in Yorkshire consisted of a full roof refurbishment to the 3 storey main school building. 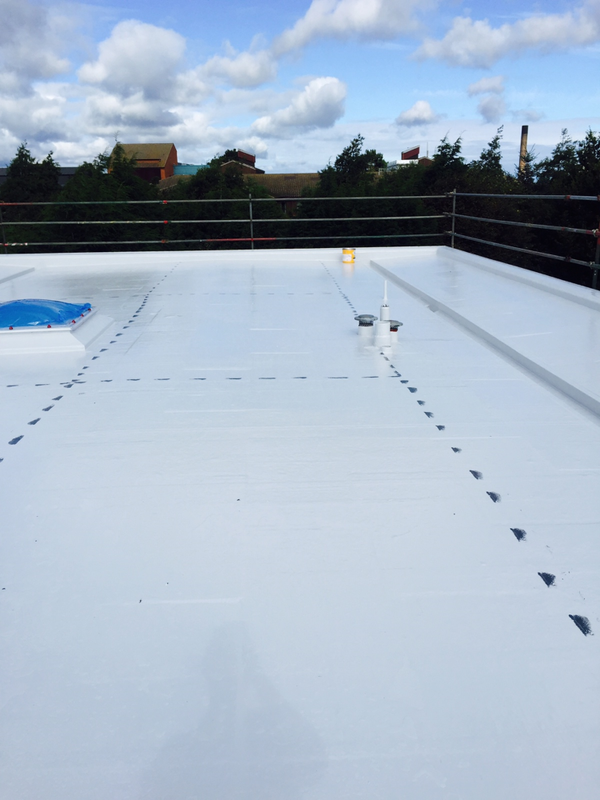 The existing asphalt had failed and following a full site survey the client specified an overlay system using 130mm Kingspan Insulation with a Sika Decothane Delta 25 Liquid Roof Membrane. The project was completed with a red anti-slip walkway together with the installation of a Versirail handrail to the perimeter. All the works were completed during the school holiday and ready for the start of the new term. 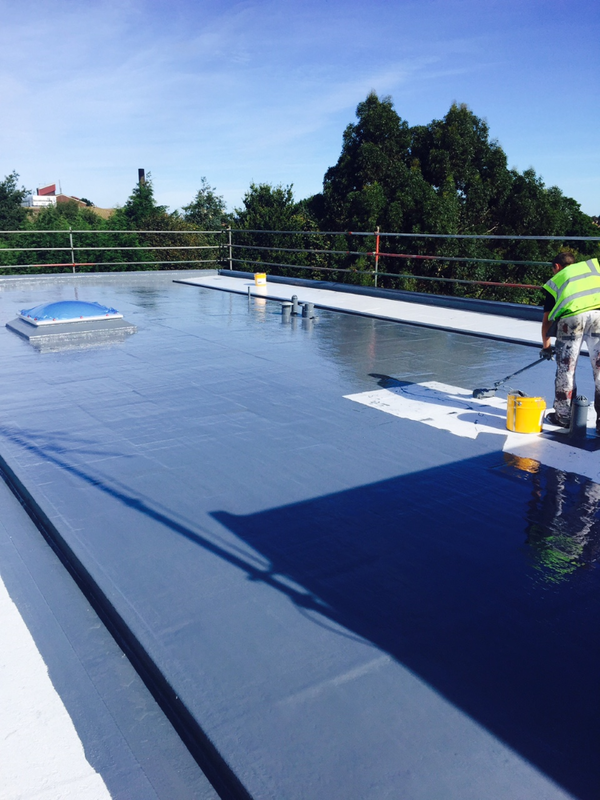 As Quality Assured Contractors, Surface Protection Coatings Ltd were able to complete the works backed with a single point guarantee for 25 years.